When an opportunity arose to review a Christmas fayre for North East Family Fun, I knew it was right up my street. 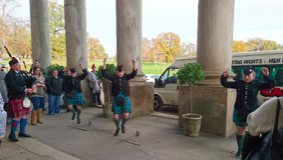 As an avid food and craft fayre visitor generally, I jumped at the chance as I had not been to Wynyard Hall before and had been promised it was one of the best. Well I was not disappointed and can recommend it within my top 3 Christmas fayres within the North east. As we drove into the estate of Wynyard Hall, this morning’s crisp clear sunny skies truly magnified the grandeur of the Hall, standing proud, within its surrounding beautiful picturesque landscape. Cars were streaming in, but with the well organised car parking attendants, it did not take us long to get parked up, to be welcomed by the friendly Darlington town crier and walk straight into the main marque. On entering, we were given a useful guide on where to find the stalls distributed around the estate and the name of every exhibitor here today. 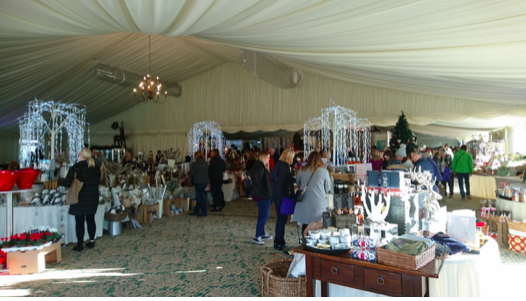 The main marque hosted a magnitude of Christmas décor and tree decorations, clothes and accessories, artwork, jewellery and children’s toys to name a few. The merchandise were of the highest quality, often unique with plenty of choice for those special Christmas gifts and treasures. 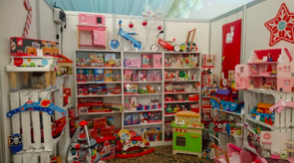 Walking around the bustling aisles, I was particularly encaptured by ‘Zibizi’, a baby gift store from Yarm, selling high quality functional wooden toys for all ages. I was like a child in a sweet shop, let alone my two young boys and the exhibitor was much obliging in letting them look at everything. 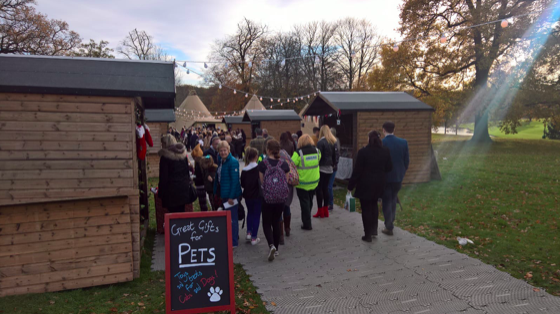 Once we had finished perusing the marque, we walked along an avenue of outside market stalls towards a trio of Christmas teepees. Inside, we took an opportunity to have a rest on haystacks whilst purchasing a gorgeous hog roast bap and warm up by the firepits, whilst being entertained by some very talented live singers. Afterwards, as we wandered down to the Hall itself, we were all mesmerised by stilt walkers and some Scottish dancing to a bagpipe. The boys were enthralled, particulary when swords were involved. Walking through the Hall’s entrance, you were immediately drawn to the beautiful interior design. Together with the Christmas décor of the exhibitors, it created a festive atmosphere as each corridor lead to another room full of stalls. It made the experience of going shopping with two young boys more adventurous as it became a game of who could find another room to explore. 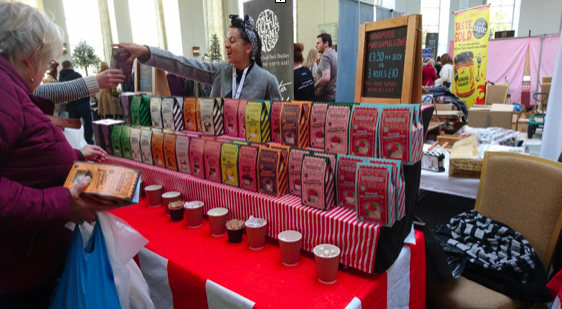 They were especially happy to find the conservatory, a large room of food stalls selling a variety of Meats, cheeses, Gins, Whiskies, chocolate and fudge . . . . . . . . . . . . I could go on another paragraph! The boys thoroughly enjoyed trying delicious samples of a wide variety of foods they wouldn’t have normally have batted an eyelid over. 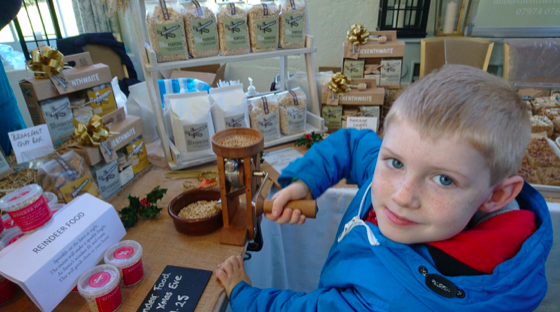 In particular, Yockenthwaite Farm impressed us by explaining how oats were made from corn by allowing the boys to demonstrate this process and then giving them a sample of ginger flapjack and a nutty granola. My favourite had to be the Magnificant Marshmallow Company. They sold a selection of handmade marshmallows with flavoursome twists. The choice was tantalising ranging from orange choc chip, mint, various berries and gingerbread. I treated myself to the 3 boxes for £10 deal but I assure you, choosing which flavours was the hardest task of the day. I just wanted them all! After we had finished looking around the Christmas Fayre stalls, we took the opportunity to explore the grounds of the estate. We walked around the beautiful walled gardens with its fountains and intertwining paths. 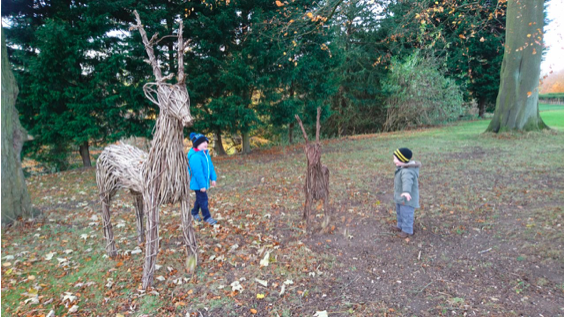 Near the glasshouse, a resident shop at the top of the gardens, we found some wicker reindeer, teepees and houses for the boys to play around in the leaves and have a chance to run off all their energy. Before heading back to the car, we walked past Wynyard on Ice, an outdoor ice rink situated within the parkland. Advance tickets at £8 a person, £9 on the door, for a 45 minute session, we found it bustling with eager adults and children trying to show off their acquired skills in skating. Both my boys haven’t quite found their skating feet as yet, so they were more interested in the nearby children’s rides where they were quite happy to show me and my husband how fast they could go round in the teacups. We left the Christmas fayre, laden with bags towards the car, chatting about what are best bits were of the morning. We all agreed we would be back again next year to do it all over again. 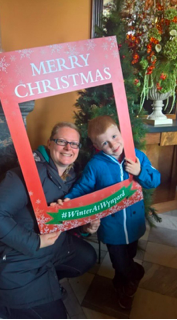 You can read North East Family Fun's review of Festive Afternoon Tea at Wynyard Hall here and find out more about Wynyard Hall Christmas Events here.